>> words i.e. Cloud, Grid, etc. >> - Big in size, but not that big i.e. >> management is between 10 to 30TB"
>> And, yes I have been swimming in the "Big Data" pool recently. Had a few cups while working on the Hadoop YARN book. I still prefer HPC beer though. 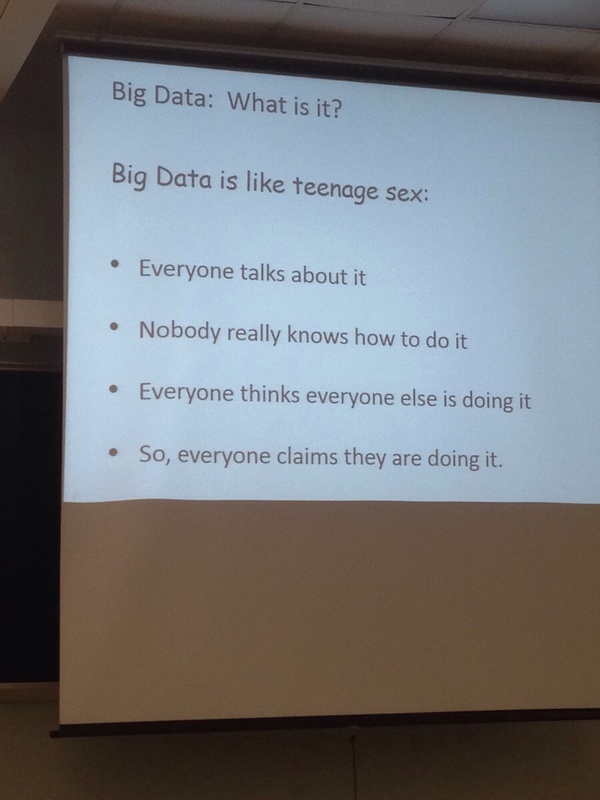 >>>> Big Data: What is it?